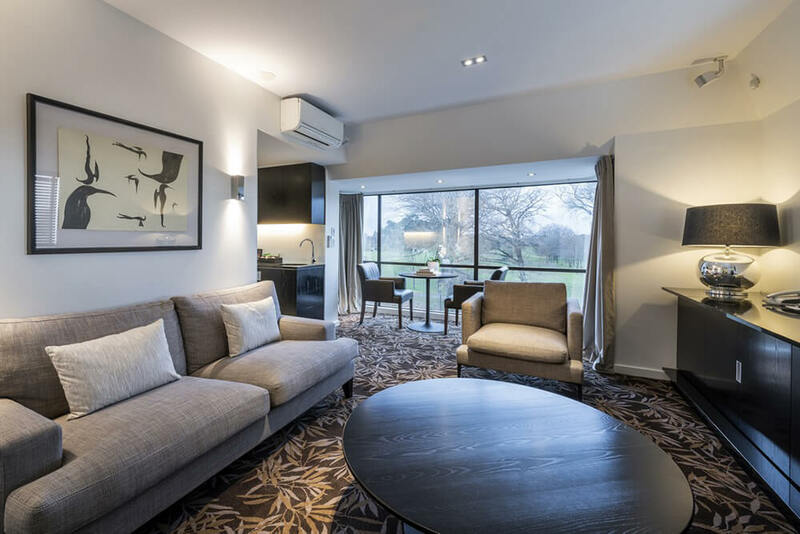 With captivating views over Hagley Park and the River Avon, and a separate lounge area, these suites are so enchanting you may not want to leave. Your Park Suite is the jewel in The George's crown (58.9m2). These suites are so enchanting you may not want to leave. 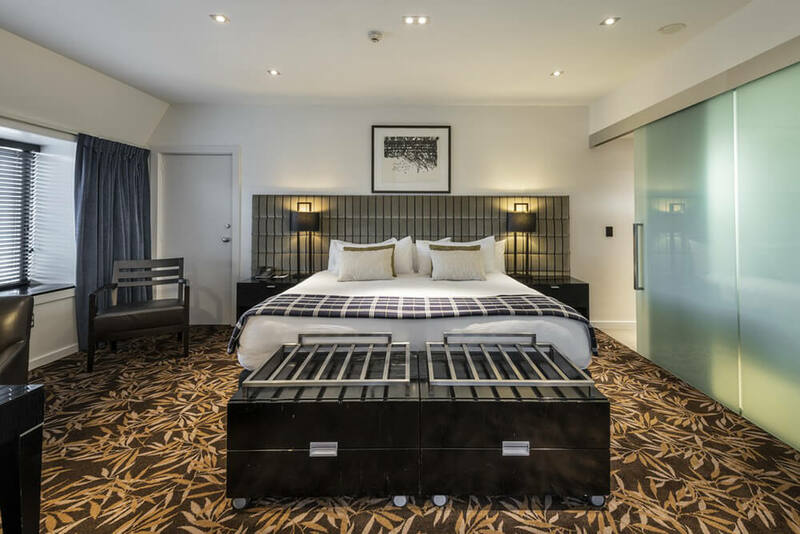 These luxury suites are the jewel in The George's crown and offer spacious state of the art contemporary interiors complete with Bose entertainment systems. 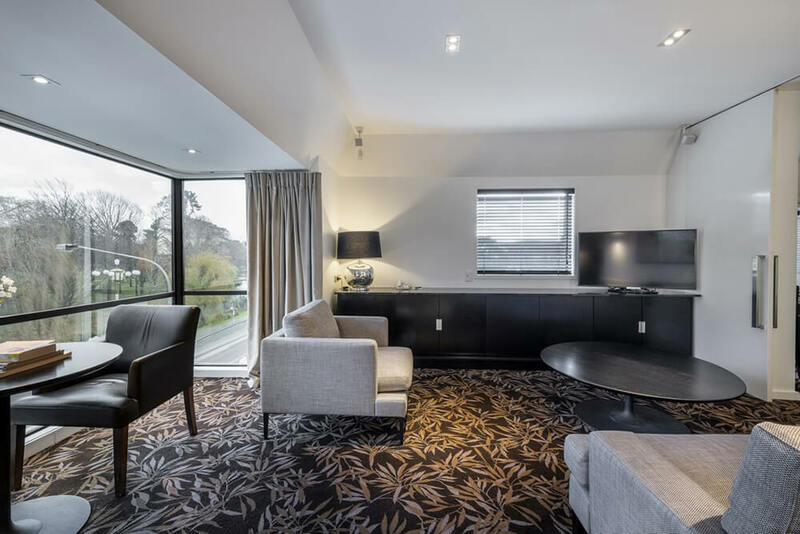 Overlooking the picturesque Hagley Park and River Avon the attention to detail in the Park Suites is one of the hallmarks of our offering. 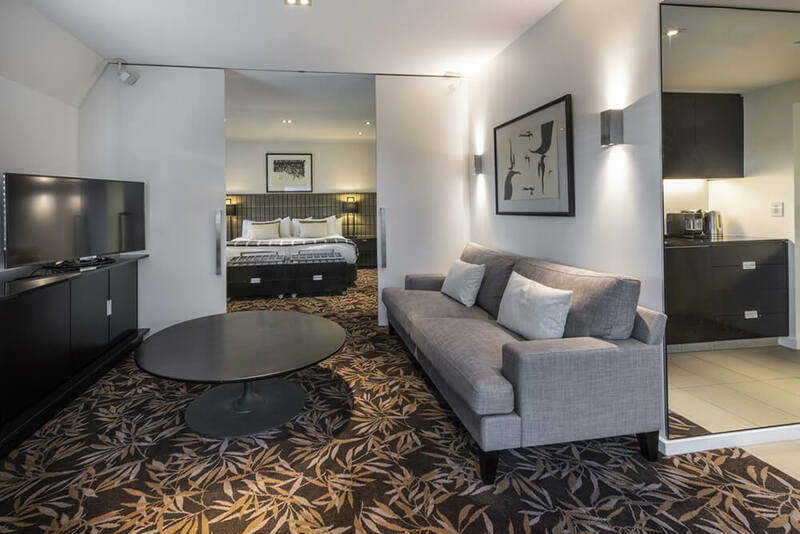 Thoughtfully appointed with a separate lounge featuring comfortable sofas and chairs - perfect for enjoying your in-room Nespresso while you watch the daffodils sway in Spring or enjoy the varied hues of Autumn leaves. 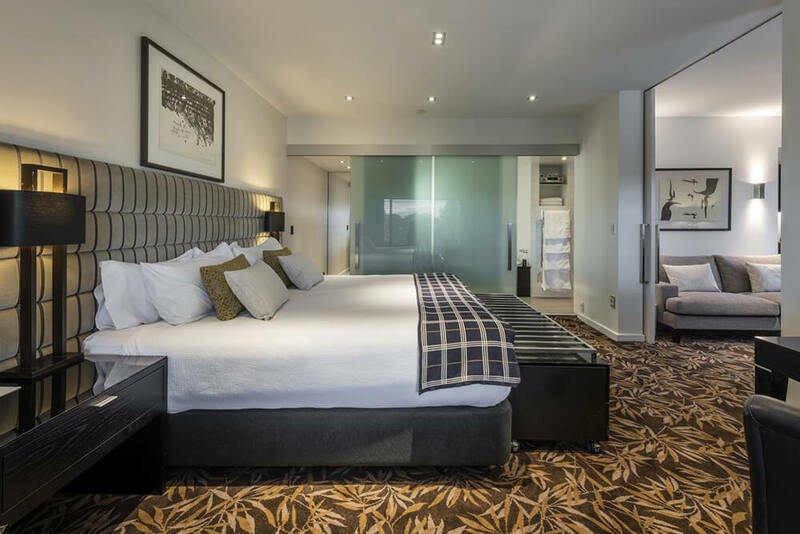 Would you like to stay in Park Suite?